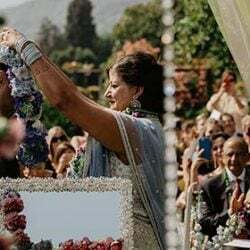 Villa Rusconi, groom arrives… by plane! 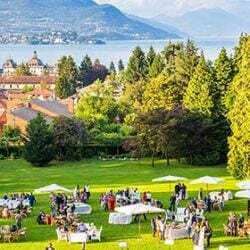 Home » Lake Maggiore Weddings » Villa Rusconi, groom arrives… by plane! Judith and Mark. 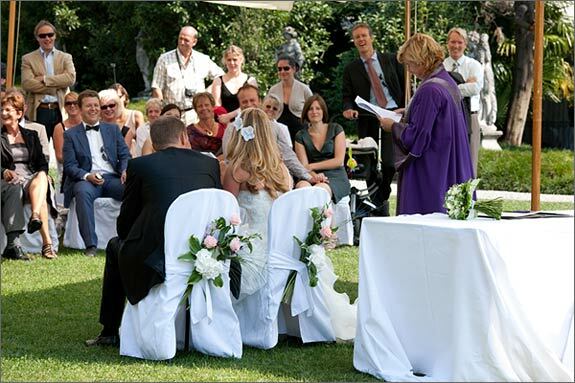 We are here again to tell you about another British couple who chose Italy for their dream wedding. 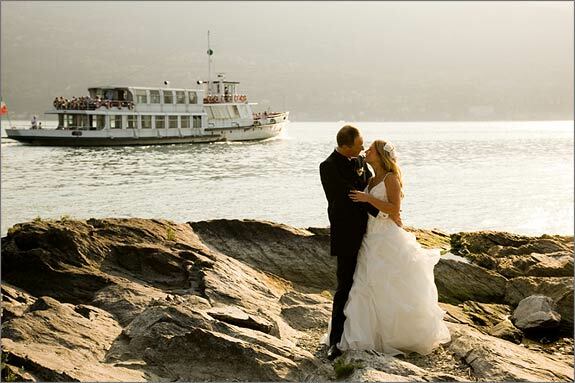 The opted for magic scenarios of Pallanza on Lake Maggiore. 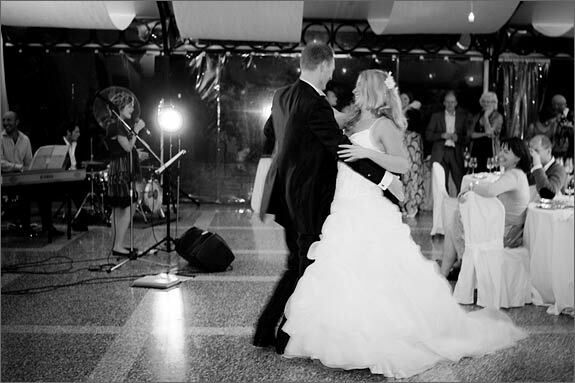 The event was followed by Enrico Mocci Photographer of ArteFotoArona for Italian Lakes Wedding Team. 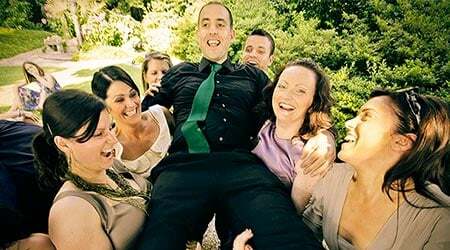 Mark is professional plane pilot and for this reason he wanted arrive to his wedding with the mean he loves: an airplane of course! All guests and Judith too, were amazed and surprised! 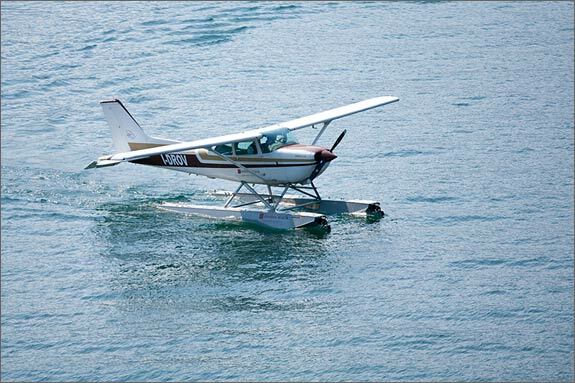 Mark glided with his seaplane on the lake just in front of Villa Rusconi gardens where all was read for the ceremony. Such a great entrance! Scott was excited too looking at Mark arrival! Scott was the special guest of the wedding, the most wanted and pampered! Scott had a wonderful flowers collar with white and lilac freesias. He was simply proud of that! 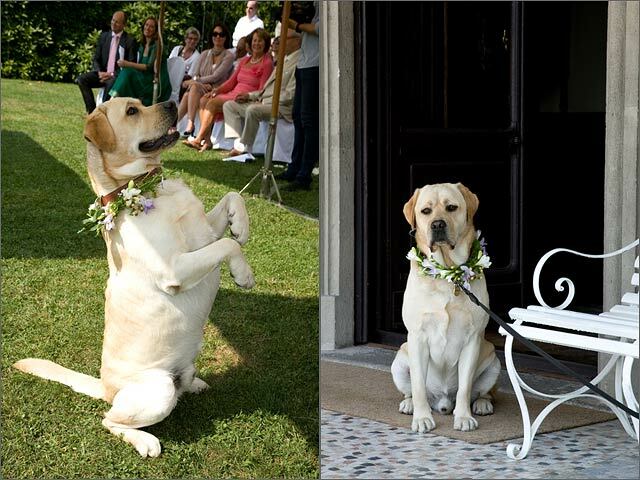 It was a great satisfaction for this wonderful Broholmer dog…it doesn’t happen every day to be the special guest to a wedding! 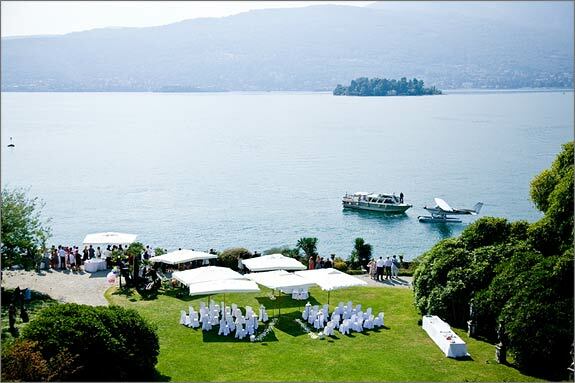 As usual Villa Rusconi garden on the shores was a stunning scenario for wedding photographs. The rooms inside the villa with grand staircase, antique furniture and frescoes were lovely spots too. Thanks to owner’s special permission Judith had the pleasure to have some pictures taken in this fairy tale frame. 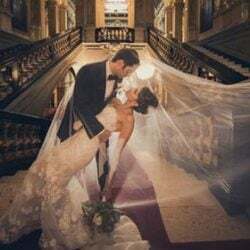 Doesn’t she look like a princess? Symbolic ceremony was held in the wide garden facing the lake. Party went on until late at night with music, dances and lot of fun. 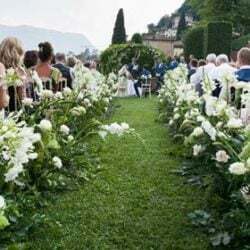 Our deepest congratulations to Judith and Mark from all Italian Lakes Wedding Team and… congratulations to Scott too for his wonderful flowered collar! 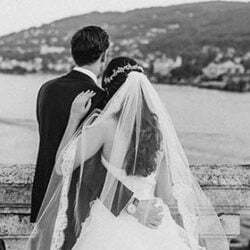 For more information about weddings in Villa Rusconi Clerici – lake Maggiore – please contact the Italian Lakes Wedding Team.